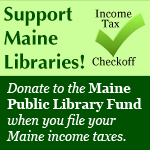 Vassalboro Public Library : Happy Birthday, Dr. Suess!! Come to the library and get a “Cat in the Hat” hat and write the name of your favorite Dr. Seuss Book. You can also tell why you like it! You may pick a colored hat or take a black and white hat and color it anyway you like! Bring it to the desk and we will give you a sticker and a Happy Birthday, Dr. Seuss Pencil! Your name will be entered in a drawing for a "Cat in the Hat" Hat Mug, as well!